A new community project is lending a help hand to anyone in need of food in the Century and Flomaton area. 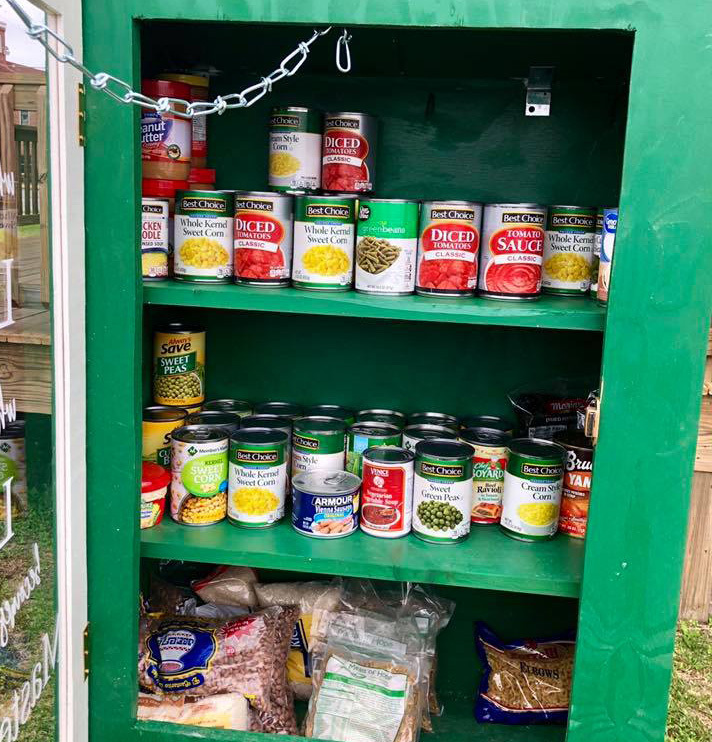 A “Blessing Box” filled with non-perishable food was installed Saturday in downtown Flomaton. “We wanted to do something to help people in our community who need a little extra help putting food on the table. This box is also a way that those same people can give back when they are able,” said Pastor Ricky Hart of Vision Church in Flomaton. Anyone that needs a little extra help can take food from the box, and anyone is welcome to restock it. “Jesus commands us to be His hands and feet and this is a small way we can do just that,” Hart said. 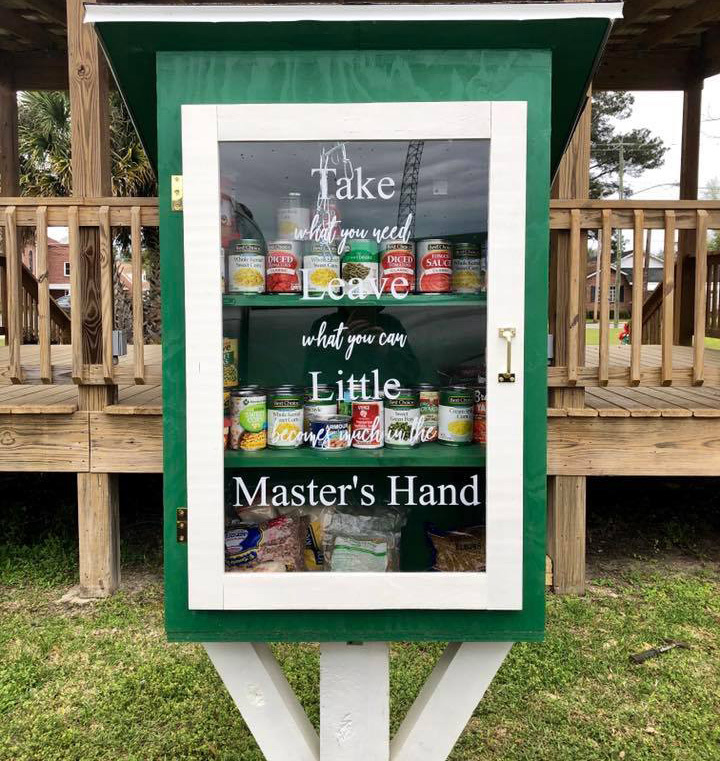 The Blessing Box is located near Church Street in Flomaton. It’s located behind the community stage (the public library side of the stage), just west of the Church and Palafox intersection. 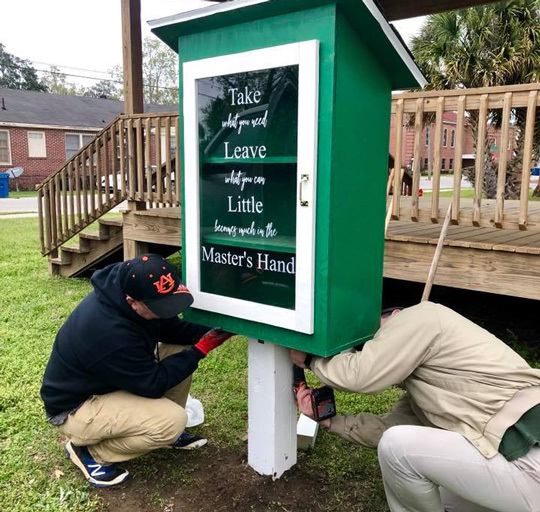 Pictured: A new “Blessing Box” was installed Saturday to serve the Flomaton and Century areas. Photos for NorthEscambia.com, click to enlarge. Nice to see a church being the hands and feet of Christ, not just pointing a finger at the needy. This is awesome….what a great way to reach out to those that need a hand. May God bless all of you.